Hello, I wanted to know how many backups does iCloud or iTunes keep? I mean is there a specific number of it? Actually, I made a backup today before restoring my iPhone as it was getting stuck quite often. However, when I tried to restore an older backup of my iPhone (fully functioning) from previous month, I wasn't able to find it. Does it got overwritten or there's some way to find it? Please suggest. Hi User, thank you for reaching out to us. We're glad to have you offered the detailed information on your query about how many backups iCloud or iTunes keeps. Read the article thoroughly to understand more about iCloud and iTunes backup. Well, to keep it straight and simple, an Apple iCloud user can only make one backup for every single iOS device he/she owns. Every time when the backup is performed, the older back up of the respective device gets merged with the new one. However, reportedly some users have seen at most 3 iCloud backups (of same device) over their account. When it comes to backing up your iOS device with iTunes, it's a bit different. Though every time you perform a backup of your iOS device, the respective backup of it gets overwritten, just like iCloud. However, you have the privilege to save the older backup while making a new backup. For this you need to first 'Archive' your older backup and then perform new backup of the respective iOS device. With this classified information, we now hope that you're clear with how many backups iCloud or iTunes keeps. 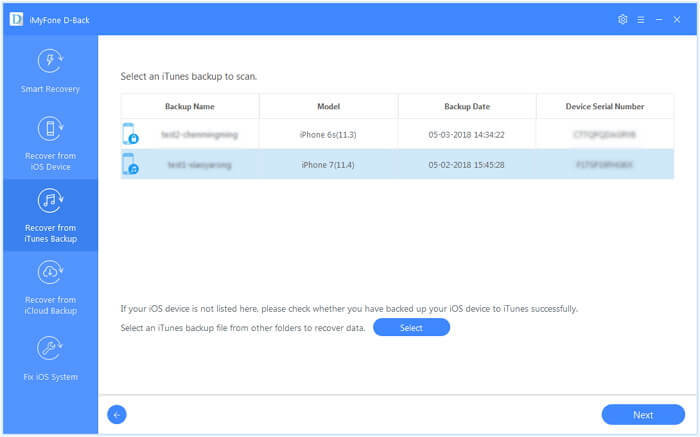 So, let's now understand how to check the backups iTunes and iCloud keep. Launch iTunes application over your PC. Make sure it is of the most recent version. In case you use Mac computer, hit on the 'iTunes' menu tab at the top left corner and then tap on 'Preferences'. Or, if you use Windows computer, hit on the 'Edit' menu tab and then select the 'Preferences' option from the appearing drop down menu. Now, get into the 'Devices' section. You'll now get to see all your iOS devices' backups performed via iTunes under the 'Device backups:' section. Right-click or control-click on any preferred backup file, then select 'Show in Finder' (Mac) or 'Show in Folder' (Windows) to locate the iOS device backups over your PC. You can now move the backup to other folder or change the name of it to avoid it being overwritten. In the screenshot, there are 2 iTunes backups. The tutorial to check how many backups does iCloud keep is actually quite easy when compared to iTunes. Here are the steps. Get into the 'Settings' of your iPhone and hit on '[your name]' at the top. Then, select the 'iCloud' option followed by 'Manage Storage'. Next, you need to hit on the 'Backup' tab. 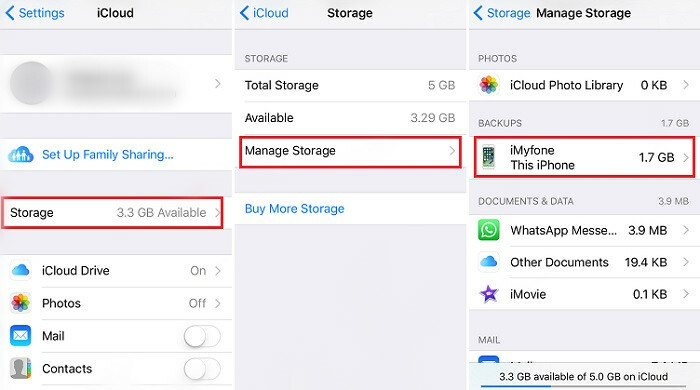 Your entire iOS device backups stored over your iCloud account will be shown right here. Though the conventional ways only allows you to check how many backups iCloud or iTunes keeps, you still have the privilege to view backups and get to know what exactly they contain. For this purpose, we are more than happy to introduce a highly reliable and recommended tool, iMyFone D-Back. 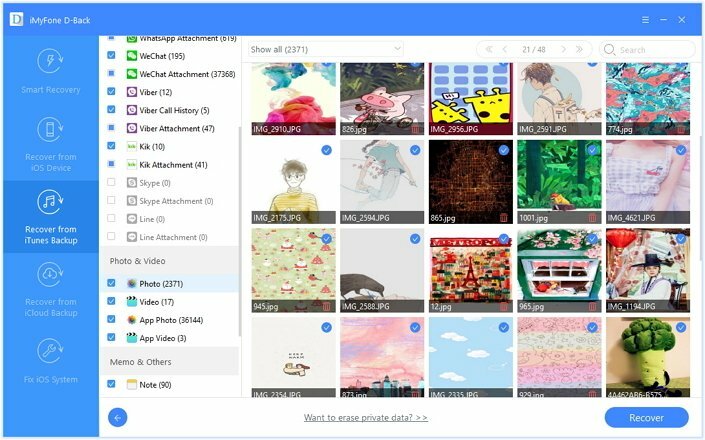 This powerful tool is utilized by numerous users across the globe to not just view your iCloud or iTunes backup, but also recover the deleted or lost data on your device with much ease. 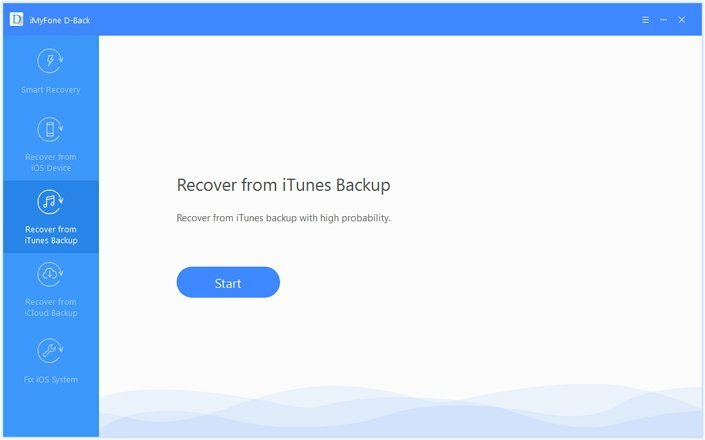 Moreover, when it comes to checking how many backups iCloud or iTunes keeps, you can make use of this tool to serve the purpose again. Let's understand how. Step 1. 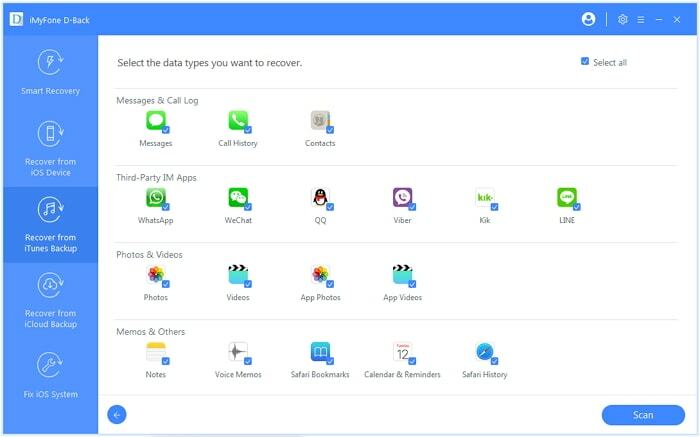 First, get over the official website of iMyFone D-back and download your copy of software. Install it and launch it over your PC, then select the 'Recover from iTunes backup' or 'Recover from iCloud Backup' depending upon your need. Step 2. From the upcoming screen, you need to tap the Start button. In case, you opted for 'Recover from iTunes backup', you can then check the how many backups iTunes has kept over your PC in the list provided. Select the desired backup file and hit on 'Next'. Or, if you opted for 'Recover from iCloud Backup', you need to punch in your iCloud credentials to sign in to it. From the upcoming screen you can get to know how many backups iCloud has kept. Select the desired backup entry and then push the 'Next' button. Step 3. Lastly, you need to select the desired data types that you wish to view in your selected backup followed by tapping the 'Scan' button. Step 4. All your data comprising of selected data types will now be listed on your screen for your preview. Make use of the results page and filters to enjoy viewing the data over your backups in a hassle free way.